Over 150 products from more than 100 skincare brands have made the shortlist of the fourth annual FreeFrom Skincare Awards. The shortlist follows a two-month period of intensive testing of the entries by a 100-strong team of dedicated Ultimate Natural Beauty Bible testers, each with sensitive or reactive skin, or with a specific interest in natural, organic and ‘free from’ skincare. Expert judging panels assessed products for ‘free from’ qualities, skin-healthy ingredients, innovation, clarity of labeling, preservative content, and much more. Judges include beauty journalists, product formulators, cosmetic experts, skincare bloggers and allergy specialists. 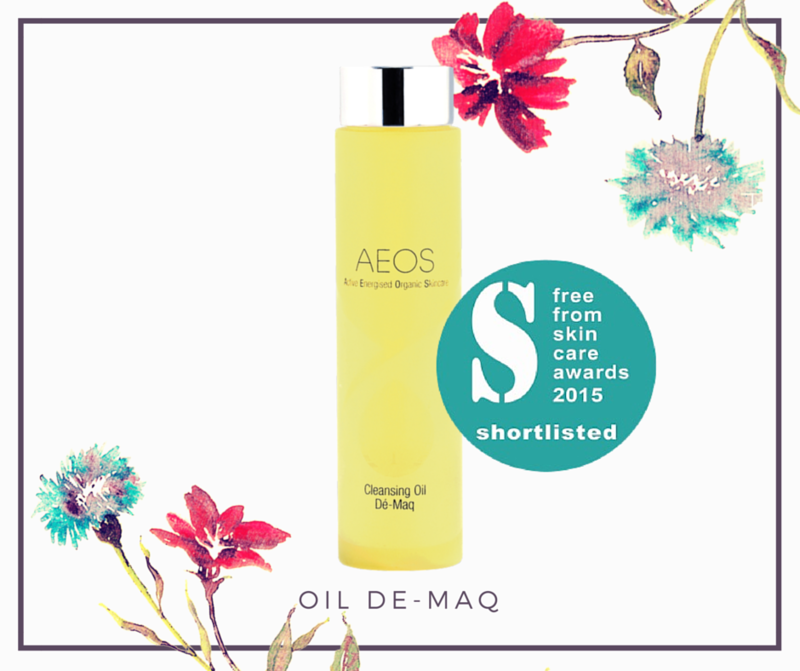 AEOS is thrilled that their Award Winning Oil De Maq is once again shortlisted in the Face Care “Take Off” Category. An oil-based cleanser that contains a blend of organic and biodynamic essential oils, plant extracts and the energies of gems and crystals, for skin that tends towards dehydration. The blend of sesame, avocado and spelt oils help in the removal of make-up and impurities for a gentle yet effective cleanse, whilst helping to maintain the delicate moisture balance of the skin. Winners and runners-up in all thirteen categories will be announced at the Love Natural, Love Organic show at Olympia on 3rd July 2015. AEOS are looking forward to potentially being a winner and adding another accolade to their long list of awards! The Free From Skincare Awards were founded in 2012 to encourage and reward manufacturers of skincare products that are ‘free from’ many of the allergens, ingredients, additives and artificial fragrances associated with skin sensitivities, health concerns, as well as ethical, personal and environmental issues.